The success of the Indian space programme has trickled down to society and led to direct economic and other benefits, ISRO chairman S Radhakrishnan today said. 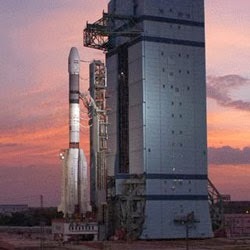 "The Indian space programme has touched everything, from agriculture to weather (forecast). Indian space applications have trickled down to society. They have brought economic benefits," Radhakrishnan said. He was speaking at the 'India Today' Conclave's panel discussion on 'Rockets vs Rotis - What to do First: Feed the hungry or reach the Moon', along with Jean-Yves Le Gall, the President of the National Space Agency of France. Radhakrishnan said that despite budgetary constraints, the impact of India's space programme has been phenomenal. Further, defending the spending on the Mars Orbiter Mission (MoM), Radhakrishnan said that such projects had ignited the intellectual hunger and attracted the youth and students to be part of the Indian space programme. He added that the MoM is 21.5 million kilometres from earth, in good health and on its course. "It takes 72 minutes for any signal to reach the MoM," Radhakrishnan added.